It was a service of deep commitment and a day of great joy with Bishop Alison White of Hull presiding & preaching assisted by the Ven. Caroline Baston, as CSMV’s Warden, and with 40 guests supporting us. 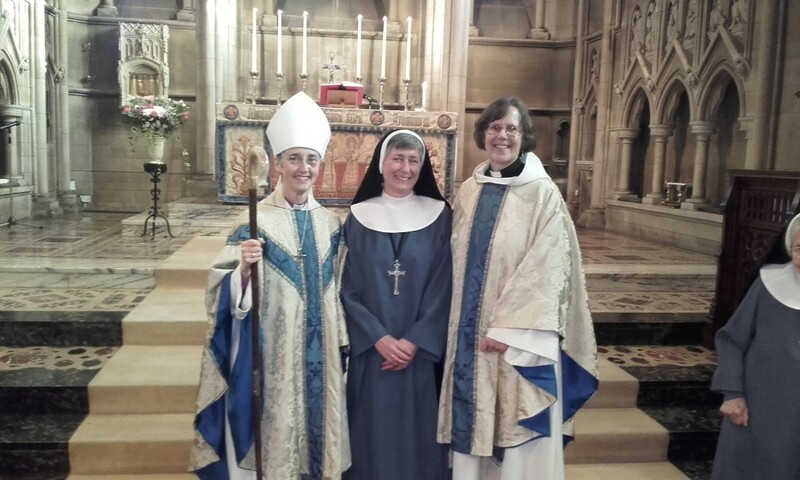 Sr Elizabeth Jane renewed her Life Profession to God, after a time away from Community, on the Feast of the Conception of the Blessed Virgin Mary in St.Mary’s Chapel, surrounded by her Sisters in Community, by her twin sister, personal friends, clergy who are well known to us, oblates, associates and members of staff. We give great thanks to God for such bountiful gifting.